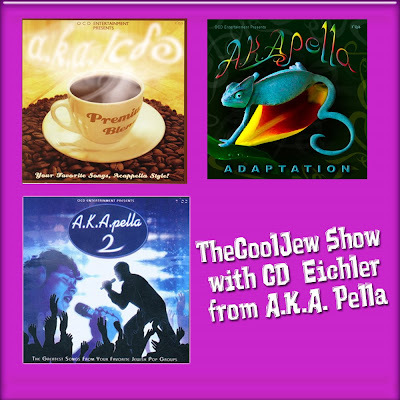 TheCoolJew.com is proud to release a new CoolJew Show with CD Eichler from A.K.A Pella. The show talks which includes two songs from the albums also talks about the creation of an akapella album...How the sounds are made.... How much computerization in involved...How to take a song and make it akapella. Additionally the very end of the show features the full version of a brand new song the sunshine and the rain. Also this show introduces a new host Mendel Mish along with Yosef. Check it all out in the TheCoolJew Show with A.K.A. Pella!! !